Life can seem very short if we don't maximize the time we spend with it. When I was young, I was never conscious of how I look, though I looked very skinny. I was never fully aware of what can really be done to make myself fit. I know I'm a late bloomer when it comes to getting fit and healthy. I started enrolling in a fitness gym in 2002 with some friends when a big health club was built in Alabang. Yes, enrolling in a gym on a monthly basis can really be heavy on the budget. We have discussed amongst ourselves the pros & cons of joining the club. And it's still a great way to invest in health and wellness. I have stopped for quite a long time from going to the gym due to my heavy load at work. Teaching had been one of my passions but I realized that I couldn't enjoy the time anymore for myself - that includes working out in the gym. I am now very conscious of my weight, and I get very frustrated whenever I fail in my own physical target - to sleep early, wake up early and have a good breakfast. It has been a struggle really whenever I try to juggle things in my hands. Staying online, doing a number of emails and updating blogs are some of the reasons I have difficulty with managing my time and therefore my own health is sometimes getting compromised. I know what I have to do and I stick to what is right. I remember when my Kongkong (a Chinese term we call our grandfather) was still alive, he got used to sleeping in a big wooden rocking chair. He preferred having it than bed. He has difficulty sleeping in bed flat. Reclining his back in a slanted position makes him in a relaxing mode. He would sleep very early. As soon as he woke up, he would go to the toilet and pee and go straight to his morning routine - stretching, exercising and running! He had acquired this habit of exercising when he was still young as a boxer. Yes, he was a boxer. I couldn't remember anymore why he discontinued boxing which he earnestly loved doing. There is really no valid excuse not to have the exercise our body needs. If we really want to get fit and healthy, have the muscle tone we desire, then there are a lot of ways to do it. There is no room for excuses. When I wake up, I do some stretching. But I must admit that I don't get to do it as regularly as I ought to. Not that I'm lazy but I just forget doing it sometimes. I realized that when we make exercise a habit upon waking up in the morning, exercise must be part of my morning routines. Last October 23, 2009, Del Monte Fit 'n Right has launched its newest campaign dubbed "Dare to be Fit 'n Right" in Taste Asia at the SM Mall of Asia, hosted by DJ Dylan. The event gathered a number of bloggers that featured the revolutionary workout called F.I.T. (Fast Intense Training) by sports scientist and Master Coach Jim Saret. The F.I.T. Workout is a 4-minute workout that includes stretching, squatting, push-ups, etc. It makes you burn at least 400 calories and continues to burn even when you're done with the workout. Amazing, isn't it? Though losing weight is not part of my agenda, this is still the most effective workout I've seen that can be done in a few minutes and without the aid of any machine or dumbbells. Coach Jim obtained his MS Sports Science degree from Brigham Young University in the US. He is a core training expert and a sports and fitness writer and lecturer. Currently, he is the Sports Program Head of the Ateneo de Manila University and the Strength and Conditioning Coach of the PBA, POC, and the PSC. Coach Jim is a powerful motivator who knows what it means to be fit and healthy in very easy ways. I am very motivated and encouraged with his positive outlook and energetic aura that exude in him in his very informative lecture and demonstration. I can actually do this workout given that I eat a lot and eat the right kinds of food. I wish he could be my mentor and trainer. F.I.T. 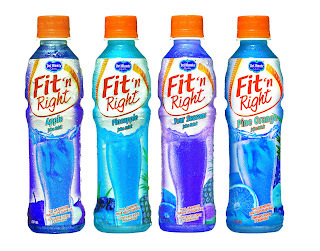 Workout is recommended to be partnered with Fit 'n Right fruit juice drink if better and faster results are desired. Because Del Monte Fit ‘N Right contains the breakthrough L-Carnitine that helps burn fat and B Vitamis 1, 6, 12 that help speed up metabolism. L-Carnitine is a natural substance that is occurring in the body but can be supplemented for optimal health. It transports the fatty acids into the mitochondria, the “cell’s powerhouse” where they are burned into energy needed for a healthy heart, important body functions and physical activities. Supplementary L-Carnitine contributes to optimal fat oxidation, and along with a proper diet and regular exercise, promotes healthy body weight. Dra. Leonora Panlasigui of University of the Philippines did a clinical study and has proven the effectiveness of Fit 'n Right products. The study reveals that one can lose as much as 16.7% body fat in just 6 weeks with regular consumption of Fit 'n Right, diet and exercise. Each Fit 'n Right 330 mL bottle contains 300 mg and for those who want to lose weight, the recommended daily intake is at least 3 bottles, at least 2 hours before an exercise or physical activity to maximize the fat-burning benefit. Gaining weight has really been a serious problem for me. I don't have any qualms with eating. I was never a pihikan (choosy) when it comes to food. I can actually eat anything (edible foods of course). I eat ALL kinds of vegetables. This is no joke - i really eat ALL kinds of veggies. And I'm proud of it! Name it and I am certain that I (can) eat it. My friends cannot believe their eyes when they see me eat, because I really eat a lot. I can get hungry very easily in minutes. After about 1-2 hours of eating a meal, you would witness me looking for food again. When there is a party or gathering where buffet meal is available, expect me to stay long in my table. My friends and relatives just couldn't believe it. With the rate of my weight, they ask me how I could stock up that much food. I also could not supply them an answer. I guess, because of positive thinking? I hope to apply that too in getting the right exercise and the right discipline to getting fit and healthy. My body metabolizes at a speed of a bullet either I do something or not. This is one main reason why I really have trouble gaining weight. Perhaps this is also one reason why I get hungry very fast. But still, my eating doesn't show any proof in my body weight. My friend Janina, who studied alternative medicine on the side, said that maybe my body is so acidic; that I have to change some foods to alkaline foods. Some friends suspected that I am thin because I eat only a little and that I am picky with foods. During my first year of teaching in 1998 in a school in Alabang, my co-teachers would always see me eating instant noodles paired with a sandwich or some crackers/ biscuits. They said, "kaya di ka tumataba e! Puro betsin ang laman ng tiyan mo!" They wanted to tell me to minimize eating instant noodles because preservatives is not good for the body. I told them that it's the only easy thing to eat during breaks at that time since the school didn't have a canteen for a long time. So everybody in school had to bring his/her own food that can feed for the whole day. When I was in college, my cousin Larry has told me a secret to getting the weight I really need: drink 2 bottles of beer plus about 6 pieces of balut. If I could do it at least 3 times a week, the better. My immediate reaction was: "Ows?!" I never really liked the taste of beer. So he mentioned an alternative to beer: Sarsi. I thought: where in the world did he get that idea? He explained that it is what he and his friends in Masbate did to become big - that's why Larry is fat! (Actually, in the line of our families and relatives, we really don't call him 'Larry' but 'Dagul.' Dagul is the name he grew up with.) What a brilliant idea! But I never really tried it. Though for some time, thinking about this peculiar advice, I did try eating 3 pieces of balut. But that's just it! I couldn't go beyond three. I almost felt like throwing up! I don't see any logic why Sarsi must accompany eating balut. I just take any softdrink or juice. I understand that balut has very high calorie content, but also believe that it is also high in cholesterol. Therefore, i conclude that it's just a myth some people have concocted for themselves. I have always wanted to try all means to gain weight and height - the products I see on Home TV Shopping. But I just get so frustrated that I don't have the necessary budget to buy those expensive tools and medicines that will help me gain weight. And at the back of my mind, I was also skeptic - what if they don't work, will I be able to get a refund in full? What if my body acquires some side effects? These things have blurred my mind. However, the idea still hasn't escaped me sometimes - what if I did try just one of the many products? Maybe I could have gained something out of my curiosity. It even crossed my mind to take steroids during workout (because I have yearned to have big and toned muscles). But when I saw a documentary on local TV channel that discussed the negative effects steroids can do to our body until we get old, I have drastically changed my mind! Yes, I have forgone those means, but never regretted not resorting to them ever in my entire life! Exercise and eating right are the means to getting fit and healthy. This must also be accompanied with the right attitude, positive outlook and proper discipline. I can't think of any better way than that. Running has been one of the most popular sports that are being held many times a month. Del Monte Fit ‘N Right continues its commitment in promoting a healthy lifestyle with the Dare to be Fit ‘n Right Fun Run scheduled on November 22 at the Mall of Asia with over P300,000 cash and products at stake! I have tried running 5K in Race for Life '08 last November 22, 2008 held at The Fort in Taguig City. I had so much fun doing it because I knew the health benefits it did on me and my breathing. I went on with the challenge despite my having asthma. Running a 5K race wasn't that easy. But finishing the race was an experience I won't forget! Winning was not anymore significant when you know that running is good for the body. Winning a race will just be a big plus. The Del Monte Dare To Be Fit 'n Right Fun Run is organized by CEMG and supported by the Manila Bulletin, Solar Sports and Lenovo, the 3K/5K/10K Men and Women Open Run will benefit the victims of typhoon Ondoy and Pepeng through the SM Foundation. (1) CEMG Office – Unit 3A Vernida I Bldg., Amorsolo St., Legaspi Village, Makati City (look for Marianne Tapales (892.5842/09155498282). (2) Dare to be Fit ‘n Right booths in Bonifacio High Street, Taguig plus SM Hypermart in Mall of Asia, Sucat, Pasig, and North EDSA, (3) Fitness First branches on November 16, 2009 only. Up for grabs are P10T, P5T and P3T for first, second, and third place runners (for both men's and women's division). All registered runners will also automatically qualify for the raffle, where they can win a Lenovo laptop. What a wonderful treat for having a total body workout and just having fun, isn't it? Go register now! I've been doing the F.I.T. program since the bloggers event and is a fan of Fit 'N Right's four seasons even before the event. Thanks Pinoy Cravings for leaving your comment! Wow, those food events must be yummy! Maybe you can invite me too so I could gain the much needed weight? hehe :-) Great that you went back to the gym. I miss doing that too! 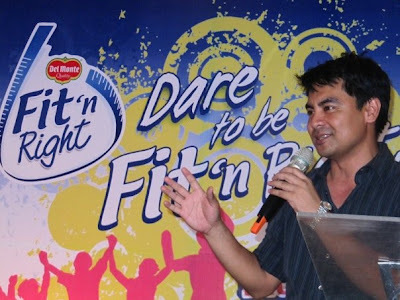 Del Monte Fit n' Right helped me lose weight 2 years ago. From a very alarming 220 lbs, I got down to 170 lbs. Although there are lot of factors why I made it to this weight now, I am pretty sure Del Monte Fit n Right played a big role on the department. health is definitely one of the things we should give importance to... i admit, in spite my otherwise looking healthy and fit, that my energy level has definitely decreased... i usually attribute it to getting old (?! ); however, i also know this isn't true. if fit n right can help with this issue, that would be a great help. Hey, you do run marathons pala. :) cool! daming bloggers ang naging health and weight conscious dahil sa Fit n Right. hehe. looking forward to the run! I think it works when you drink it with an empty stomach. I read that fruits are best eaten before the meal. I guess that applies to juices,too. No worries about being acidic as when it enters the body, it turns into alkaline. @IRIS: Yup, sana fit & healthy tayong lahat. Could you please ask your husband his secret on gaining weight? How did he do that? I need it badly! haha! @JAY-L: Do a lot of crunches to tighten your abs. @RC: Thanks! I think you also need exercise! haha! We both need to gain weight. :) Getting old? haha! @JP: I might join too. I need a new pair of rubbershoes! :( Mine is already old & broken. @OMAR: Yah, fun run is really fun! actually I like the new flavors! @FLORENCIO (fpj): I like the new flavors too esp. Grape! @DENNIS: your last name pls? Thanks for dropping by. @GIL: Thanks for dropping by. Please visit my site often. Musta na kayo diyan sa US? I think this is a very fruitful and healthy undertaking. Fruits and fruit juices are best taken in the morning for maximum absorption of the vitamins. I was once skinny, myself. I just started eating at a constant time of the day, everyday. No skipping meals allowed. wow...long blog. But I must say it is worth reading. I agree with your Subject: In Pursuit of Health there is No Room for Excuses. So, those people who NEED to gain weight actually exist. And here I thought they were urban legend. I ENVY YOU. nice blog. fit n right and exercise what a combination. @ANDRES: I agree with you. Thanks for dropping by and leaving a comment. 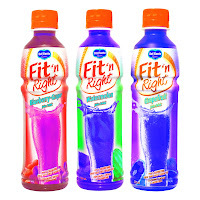 @ROWEVA: You have to try Fit 'n Right. It really tastes good! I hope that weight will not be a problem for you. @XHANDER: Hey, thanks for dropping by and leaving your comment! it is not the responsibility of the gym instructor,weight-lose program, or medicine to become fit and right.it is first the responsibility of ourselves. Fit n Right - exactly what I need when my doctor just told me to trim down a bit. I dunno. I kinda prefer water. I agree with Fitz! Daming naging conscious sa figure nila dahil sa Fit. Hmmmm i think i'm gonna do it too! Thanks for sharing bro! @ALVIN: Korek! It's our own responsibility to get fit & healthy. But we can always ask others for help. hehe. @GEOFF: Chaser ang Fit 'n Right? Puwede!!! masubukan nga yang F.I.T. workout! it is good that nowadays, there are some companies that create stuffs that benefit one's health. though im not actually doing the fit n right program, i admire people's advocacy to create awareness and imporove peoples' way of living. i agree that exercise and a good diet not just helps you "look good" but also improves one's way of life. Talk about exercise deprived! The L Carnitine & B group vitamins sound good tho... will have to try Fit n Right. What's your favorite flavor? @MELO (PINOY CRAVINGS): I agree, it's just like any other juice - but w/ health benefits. @ARCHIE: With Fit 'n Right, haluan mo ng matinding exercises para mas maging effective sa 'yo. @KAREN: I agree. Getting a good exercise & diet helps improve our way of life. @CHELO (KALAYAAN422): Aminin mo na how many punds you lost upon drinking Fit 'n Right! Don't be shy... haha! @DANI: You're welcome! I'm planning to join the fun run. But I'm not yet sure kasi super luma na ang rubber shoes ko at sira na. Ilang beses ko na ring pilit sinasalba iyon. Di na talaga kaya. Hay, ang mahal pa naman ng rubber shoes e. Are you joining? @CARL: Are you joining too? Hey Arvin, since high school tayo up to now, same pa din tayo ng weight issues. hehe!